Stay in for a perfectly Romantic Valentine’s Day Dinner with the one you love with this Valentine's Day Romantic Dinner Hamper. 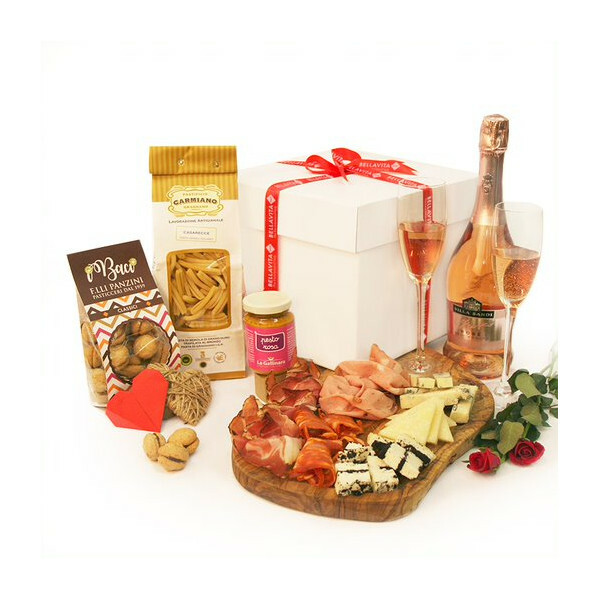 We have curated this Hamper with all the savoury foods and bubbles that you need for an italian romantic dinner for two. 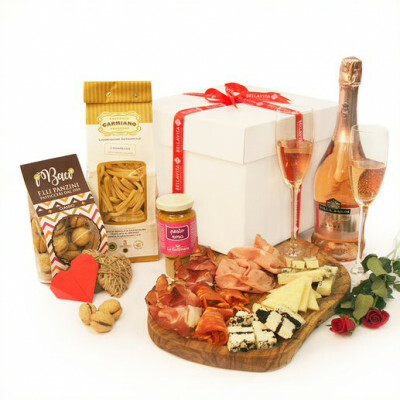 Presented in our elegant hamper with a silk red ribbon, this fine selection of delicious italian food and wine treats is an ideal gift for your lover. 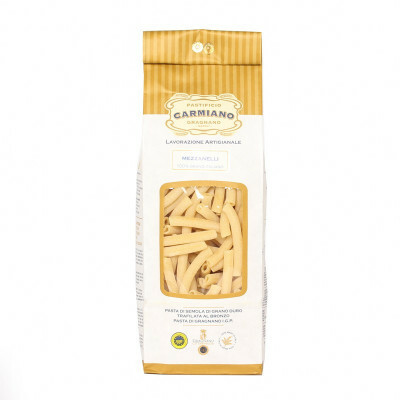 Inside the hamper you will find everything you need for an Italian Special Valentine’s Day Dinner. 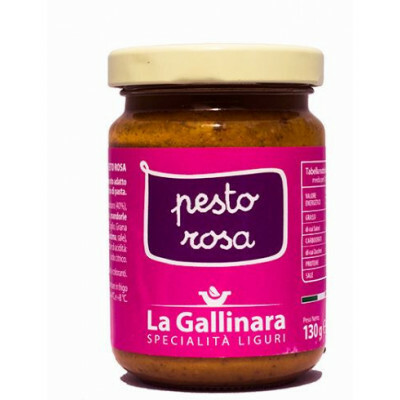 We have included ingredients to recreate the perfect italian “antipasto” with italian cheese and charcuterie platter and a traditional italian pasta dish with a luxurious pink pesto. 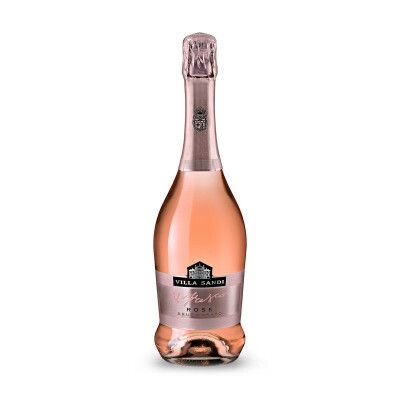 You will also find italian shortbread-style biscuits with hazelnuts and a chocolate filling for an indulgent dessert and a fruity and flowery sparkling rosé to appease your palates. The hamper comes with your personal, hand-written gift note, free of charge.